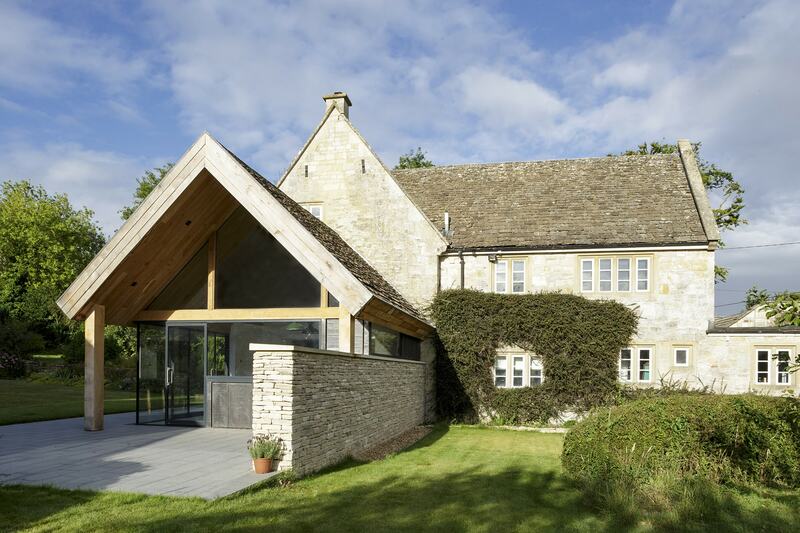 This grade 2 listed house had been heavily altered and adapted in the 1970’s with a poor quality conservatory which was too cold in winter and too hot in summer. 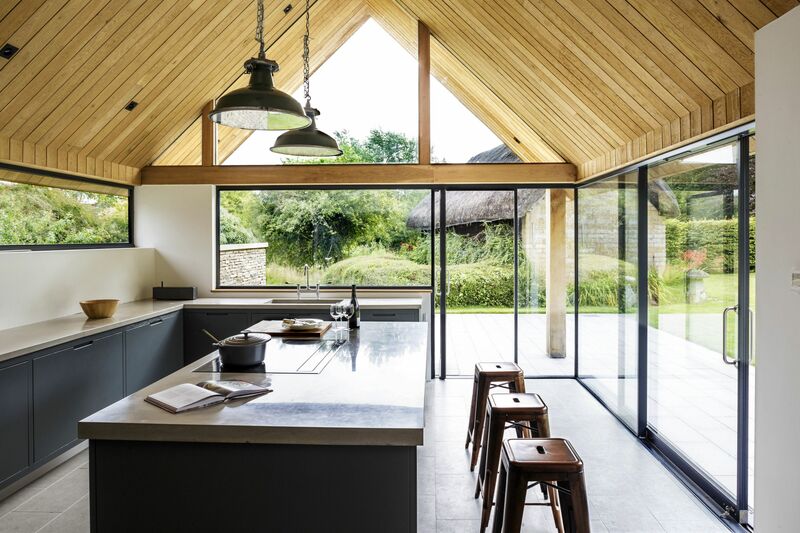 The interior was adapted and modernised with the creation of a modern kitchen extension linked to a dining room and sitting area. 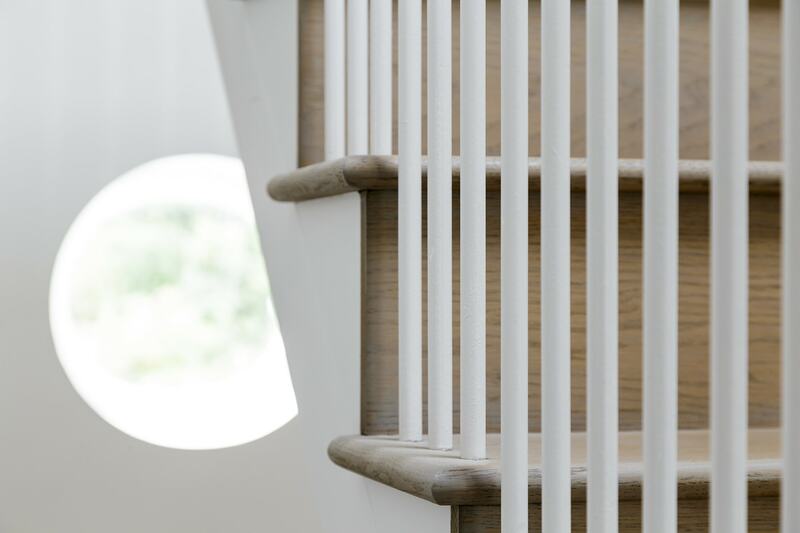 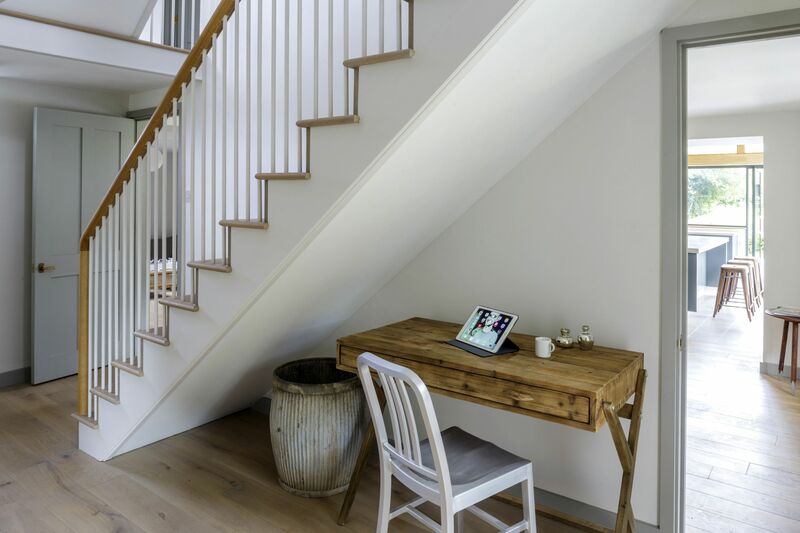 Re–imagining the stair arrangement created a vertical space linking the 3 storeys of the house with a steel and wooded staircase. 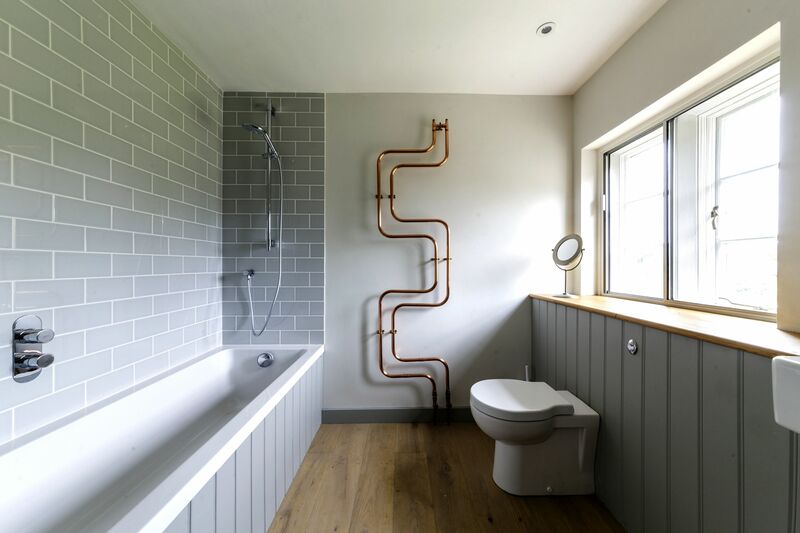 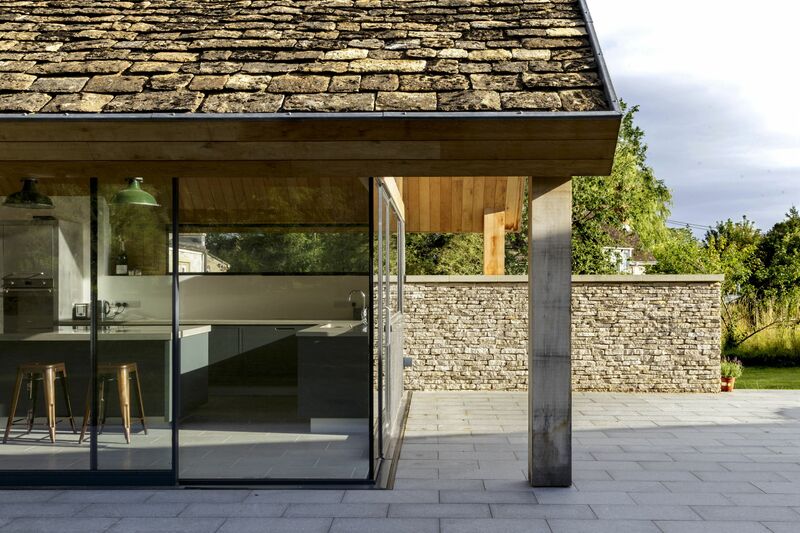 The new extension element was conceived by taking the traditional building materials found in the area and re-using them for the 21st century. 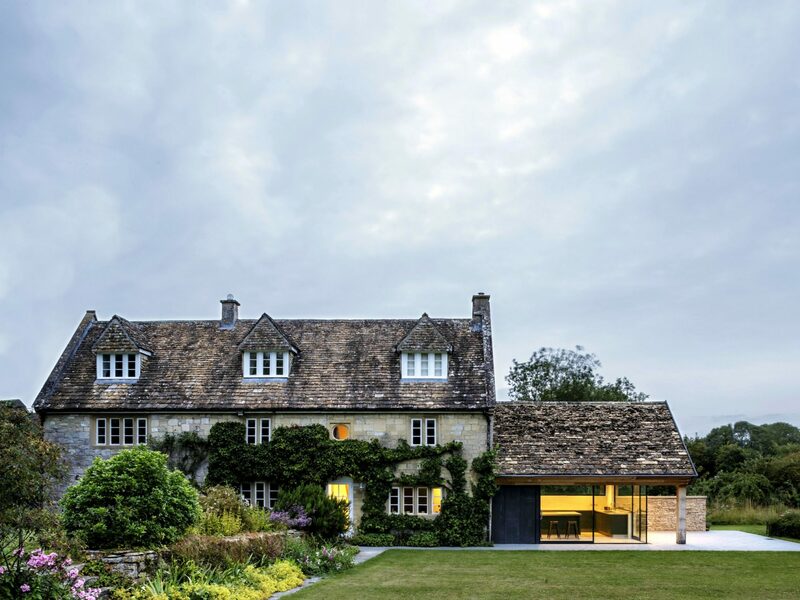 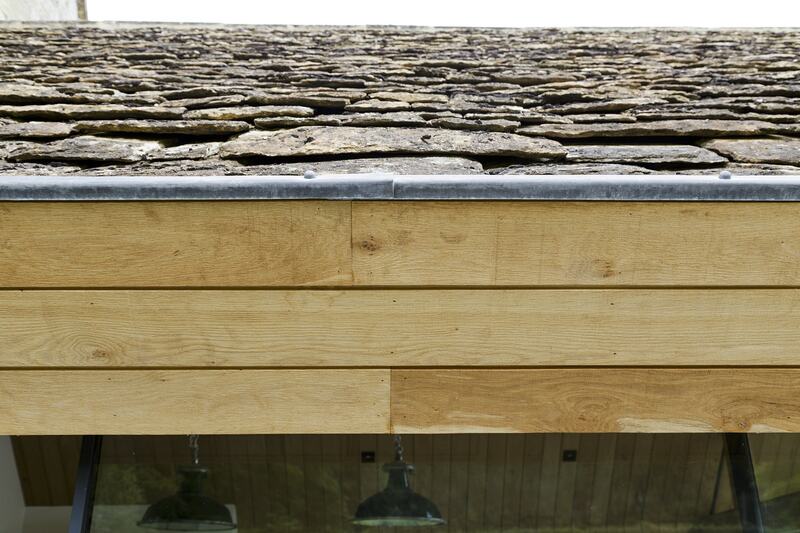 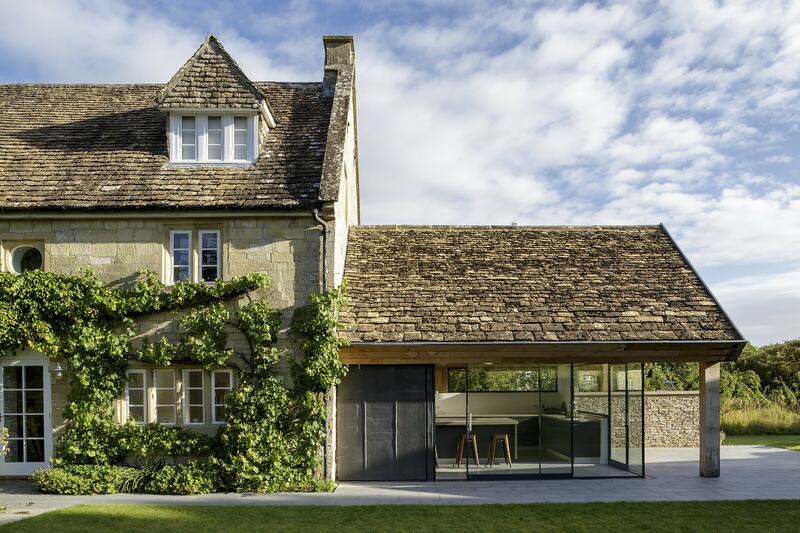 An open-jointed stone wall, reclaimed stone-slate roof, oak, lead and high-performance glazing are all brought together as a minimal wall which provides a generous overhang. 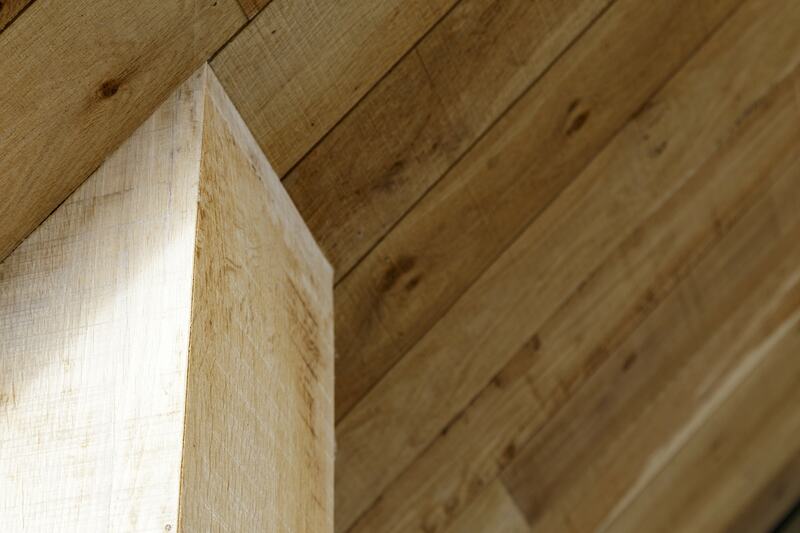 This helps prevent overheating during summer and creates an almost outdoor cooking experience.